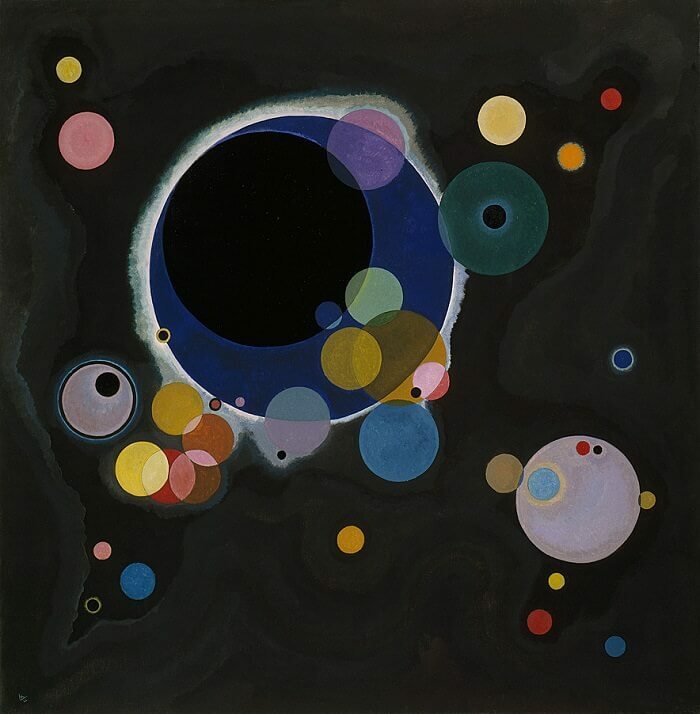 In 1920s, Kandinsky furthered his investigations into the correspondence between colors and forms and their psychological and spiritual effects. In Composition VIII, the colorful, interactive geometric forms create a pulsating surface that is alternately dynamic and calm, aggressive and quiet. The importance of circles in this painting prefigures the dominant role they would play in many subsequent works, culminating in his cosmic and harmonious image Several Circles. "Painting is the thundering collision of diffident worlds, destined to create a new world in and of the struggle with one another, a new world which is the work of art. Each work originates as does the cosmos, through catastrophes which are through the chaotic din of instruments ultimately brings forth a symphony, the music of the spheres."